Clock Around The Rock! Amazing New Technology…..Rlocks! Tired of the current crop of uninspiring time pieces? Well, get ready for the next great advancement in science & technology. 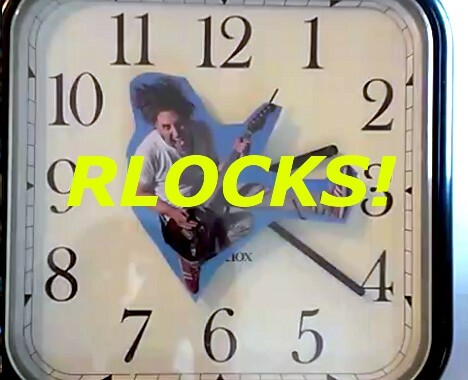 Here’s the first clock that tells you when it is time to rock! Really awesome customized Rock-Clocks or Rlocks for short! You try NOT being inspired by this Rlock at your next session here. In case it’s not obvious, the Rlock is a Metrosonic exclusive! No other recording studio in the world has this. Just ask around. And of course, it is all analog! Posted in Equipment, Featured Gear, Music Genre, Rock, Video and tagged awesome clock, gift ideas, rlock, rock clock.